What supports can you offer someone with a disability? Who can use Carers and Disability Link services? Anyone with or affected by a disability can contact us for support and information. 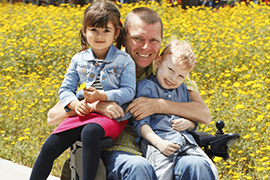 We accept referrals from the National Disability Insurance Scheme, Disability SA, other Disability Services, or directly from the person with a disability, their families or carers. 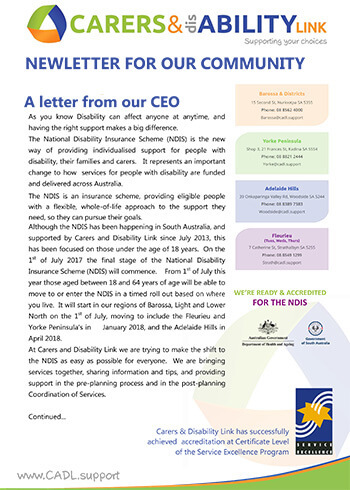 Can you help me get prepared for my NDIS planning meeting? Yes! Our Carer Support Wokers are available to talk to you about the NDIS planning process and support you in preparing for your planning meeting. Contact your nearest Carers and Disability Link office for more information. 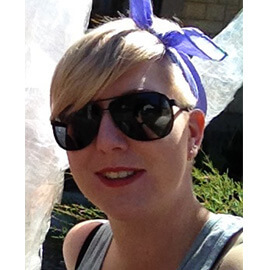 Can you offer support to my family or carers? 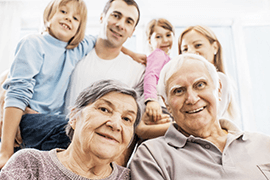 Carers and Disability Link does not just provide services to people with a disability, we also support the whole family. 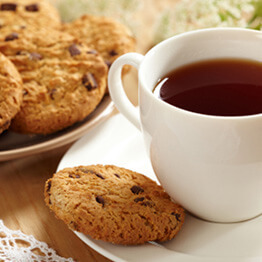 We provide support to carers, whether family or friend. 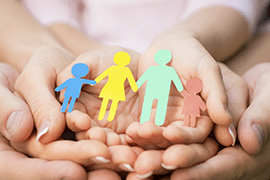 We also offer a specific support and activities for young people caring for a family member. There is no need to have an assessment or a diagnosis for the person you care for. If you are caring for someone and would like some support, we are here for you. Carers and Disability Link offer very competitive rates that are reviewed regularly against industry benchmarks. Costs may vary depending on the service you use. Contact us anytime for an idea of the rates we charge. I am paying for my own services, can you help me? Yes! All you need to do is contact your nearest Carers and Disability Link office to discuss your needs. We can then set up a service agreement where we will bill you directly for services. What if I am not happy with my worker? Carers and Disability Link will always try and match you with the worker who best meets your needs, has the most relevant skills and experience and who shares your interests. We also personally introduce you to the worker who will be assisting you. If you are not happy with this support worker you can always contact our friendly Direct Care Services team and arrange to meet another worker. Who will provide my supports and services? Carers and Disability Link staff will coordinate the delivery of services through a team of qualified Independent Contractors. These support workers live locally within the community which helps our clients to stay connected with the local community and provides flexibility that can meet your changing needs. Local workers also provide best value for money. All independent contractors have the following qualifications. Talk with your funding agency about your needs and to confirm funding. If you are receiving NDIS funding and require the supports that Carers and Disability Link can offer, contact your nearest office for an appointment to discuss your needs and complete necessary paperwork. Our staff are happy to come to your home or we can meet at the office. If you are funded through another agency, notify them that Carers and Disability Link are your preferred service provider. They will then contact us to arrange the next steps. No matter what your funding arrangement, Carers and Disability Link will meet with you to discuss your needs. This allows us to get to know each other and ensure we match you with the right worker to best meet your care needs. 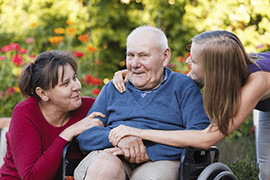 Why choose Carers and Disability Link? 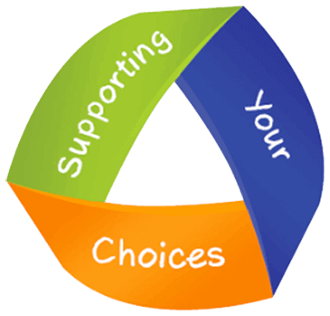 CHOICE – You have the flexibility to choose the services or supports that meet your needs. CONTROL – You have control over how, when and where you receive these services. You can even change these to suit your changing needs. CONSISTENCY – We consistently deliver what we promise and are in regular contact to ensure our services match your needs today. NDIS – either you or your support coordinator can give our friendly Direct Care Services team members a call to discuss your needs and the goals of your NDIS plan. 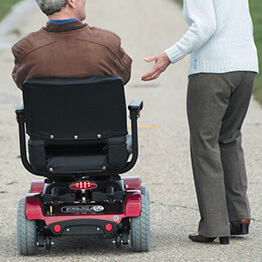 Disability SA (or other Disability Service Providers) – Discuss with your case manager if you would like Carers and Disability Link to provide your services. Privately Funded Services – give us a call at the relevant office to discuss your needs and talk to us about our competitive rates.